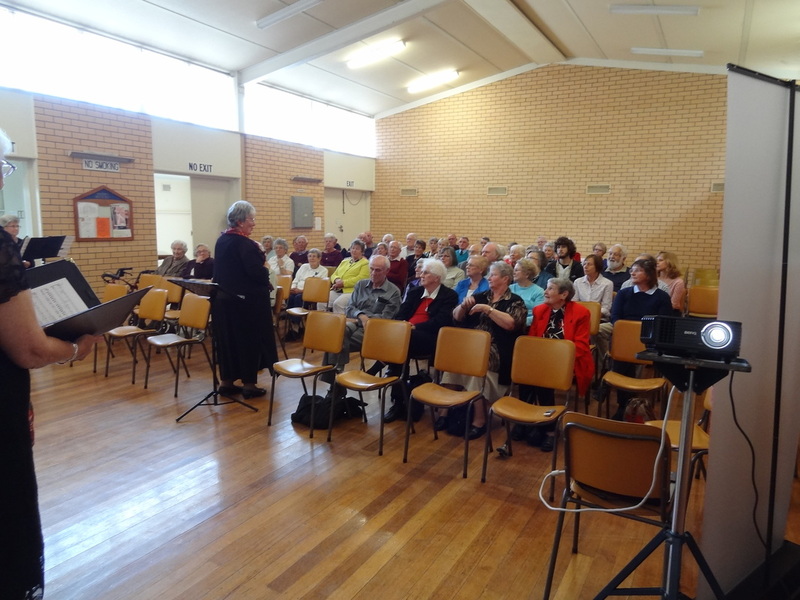 Christian College Auditorium, Drysdale was the setting for the getting together of three choirs - the prestigious Sydney Welsh Choir, the Geelong Welsh Ladies Choir and our own Coryule Chorus. 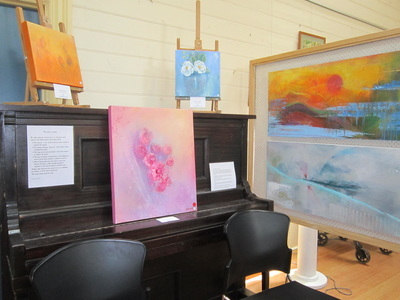 All proceeds , which totalled around $6500, was raised to be distributed to the Australian Lions Childhood Cancer Research Foundation. 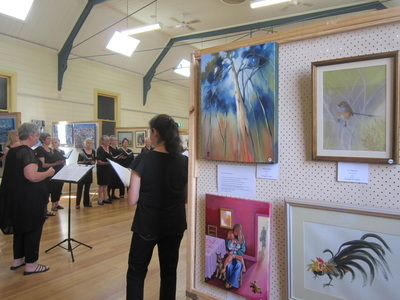 ​A very enthusiastic audience of around 300 took up almost every seat in the gallery. 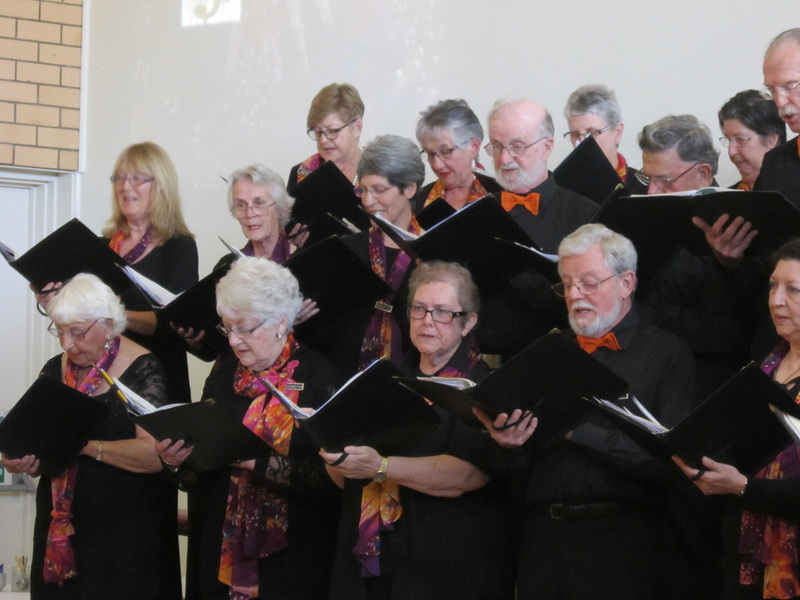 Each choir performed their own bracket of songs, and then just before interval, we all sang "Why We Sing" under the flamboyant direction of SWC conductor, Viv Llewellyn. After interval, all choirs together sang Calon Lan, Hallelujah, Cwm Rhondda and Go Now in Peace - a most uplifting experience for all concerned! 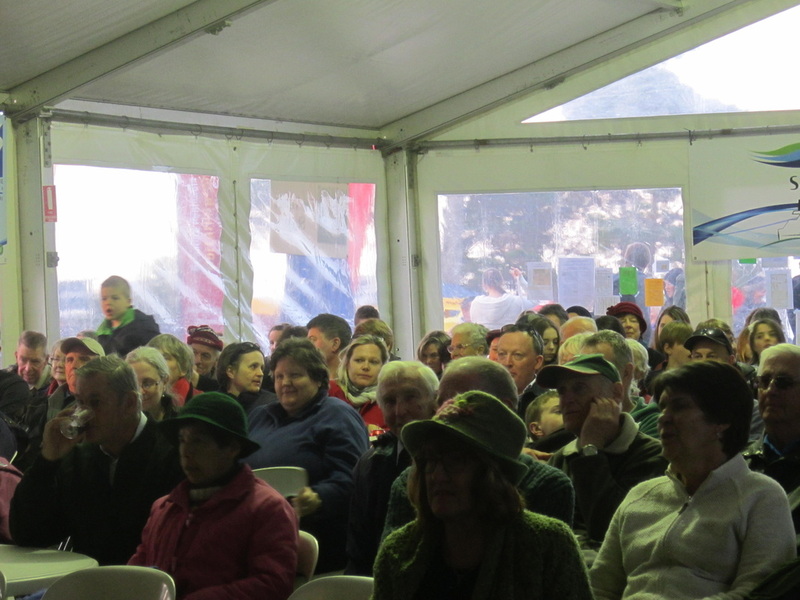 We finished the program off with both the Welsh and Australian National Anthems. A big thankyou and well done to our own Maurice Duffill, who was the inspiration, and did much of the hard work in putting this event together. 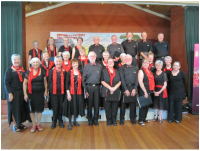 See and hear the 3 choir performance of "Hallelujah" on the video page of this website. 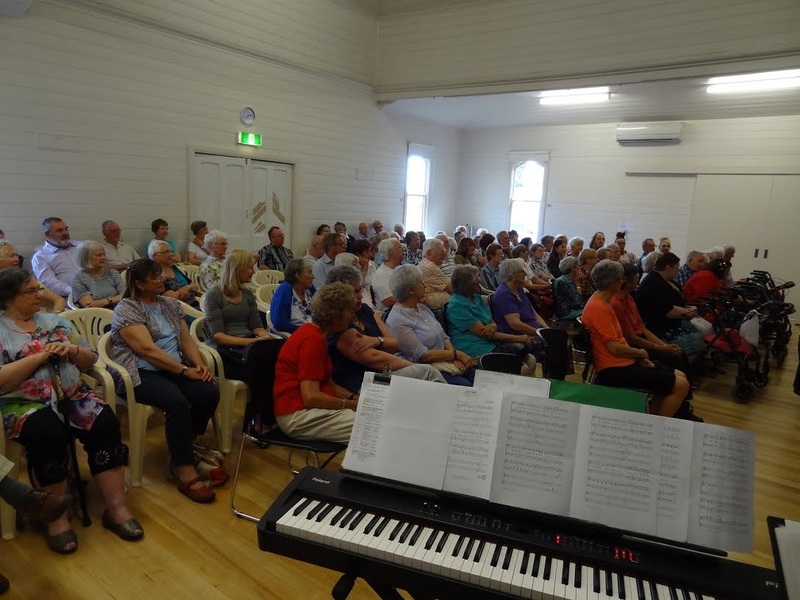 Much anticipation for this performance following our workshop with Sally Wilson, and the hard work paid off as a great audience seemed to be very appreciative and generous with their applause after each of the songs. 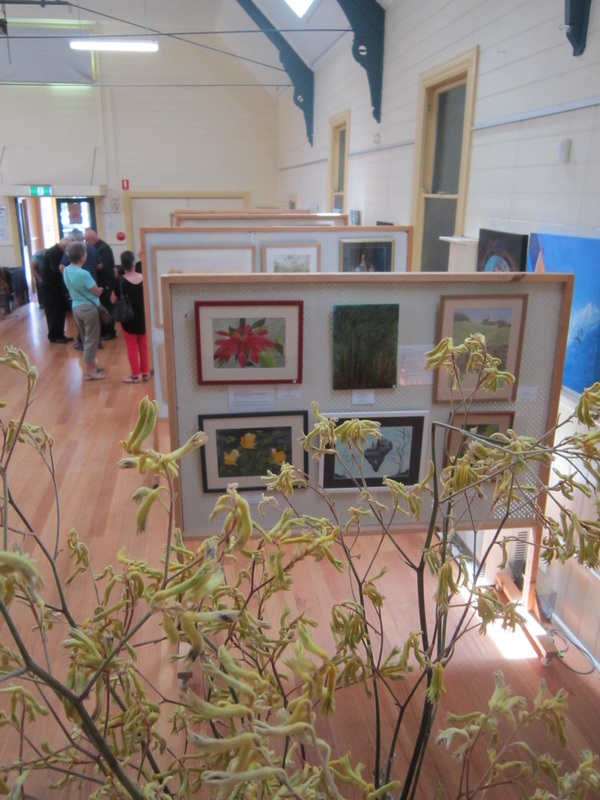 A few oldies, and some new work were put to the test, and all seemed to work out well. A few photos below to recall the day. 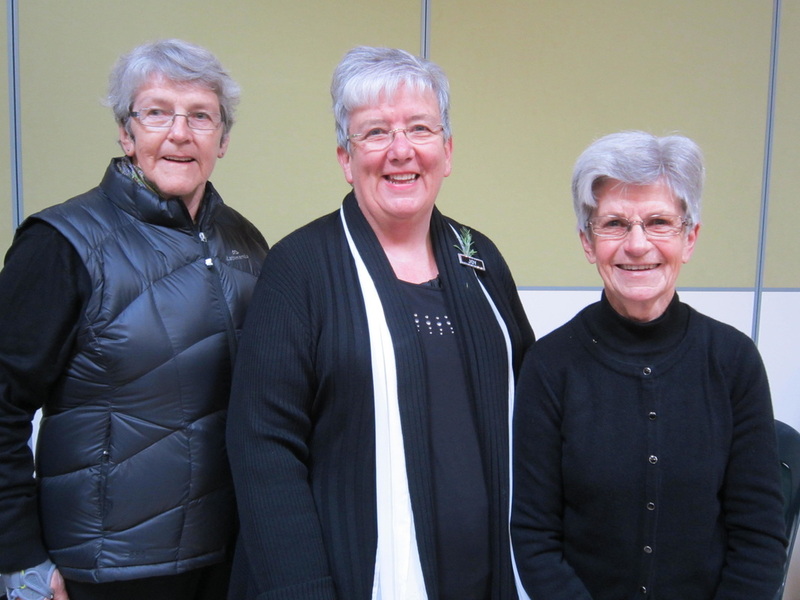 A fund-raiser for St James. 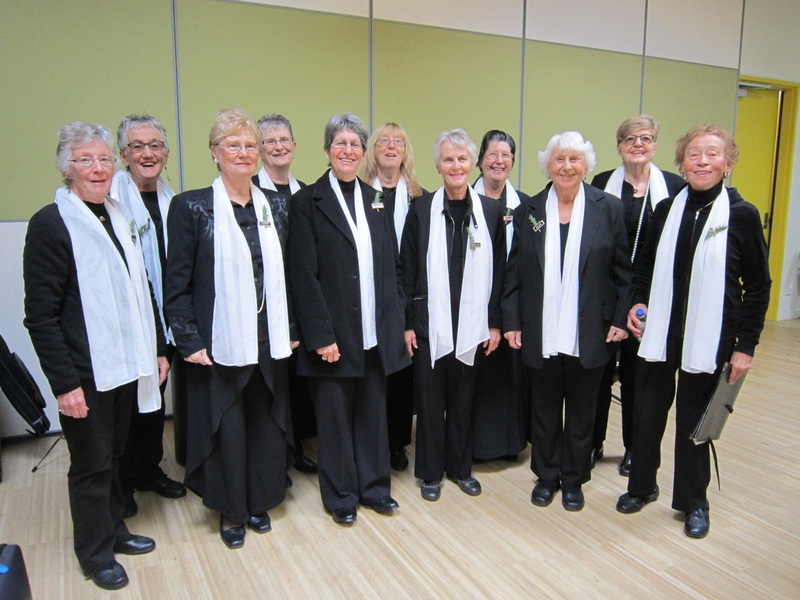 A beautiful morning greeted us for our performance at this year's ANZAC service at the Ocean Grove Cenotaph. 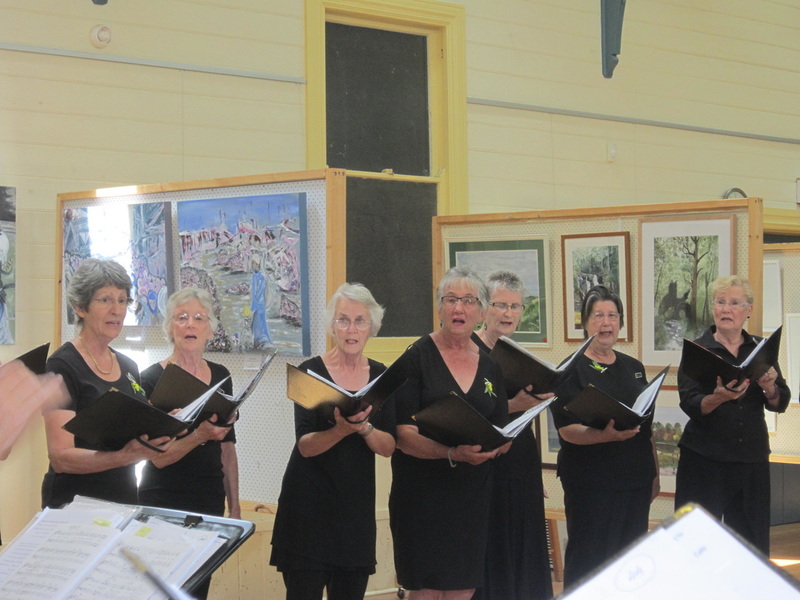 Our performance included the moving "We will remember them" with Annette Playsted headlining some beautiful chorus harmonies during the laying of the wreaths. 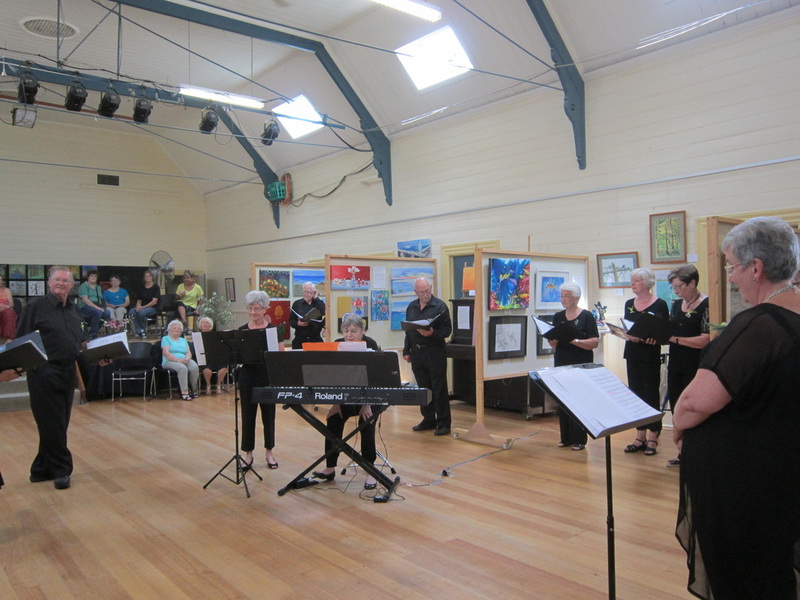 Our annual Australia Day performance at Springdale in conjunction with the Art Exhibition co-ordinated by our own President/Soprano Annette Playsted. 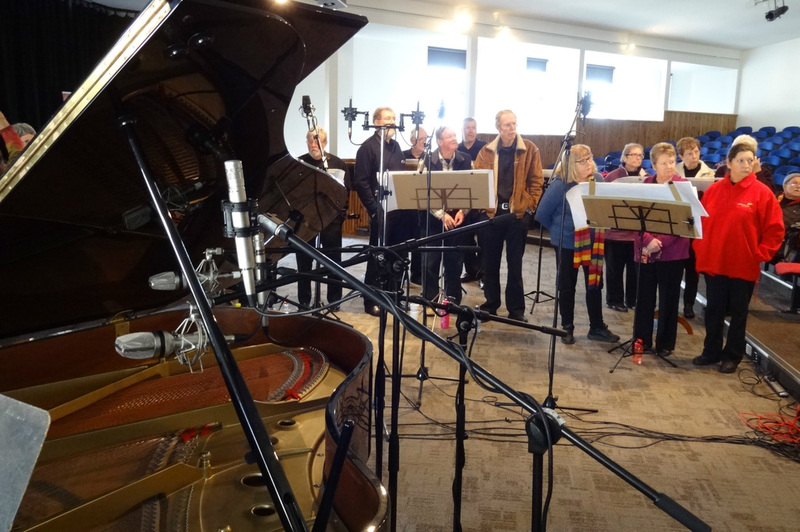 After several months of planning and preparation, the day of recording our Christmas CD, and the follow-up to our first CD, "SOFT RAIN", had arrived. 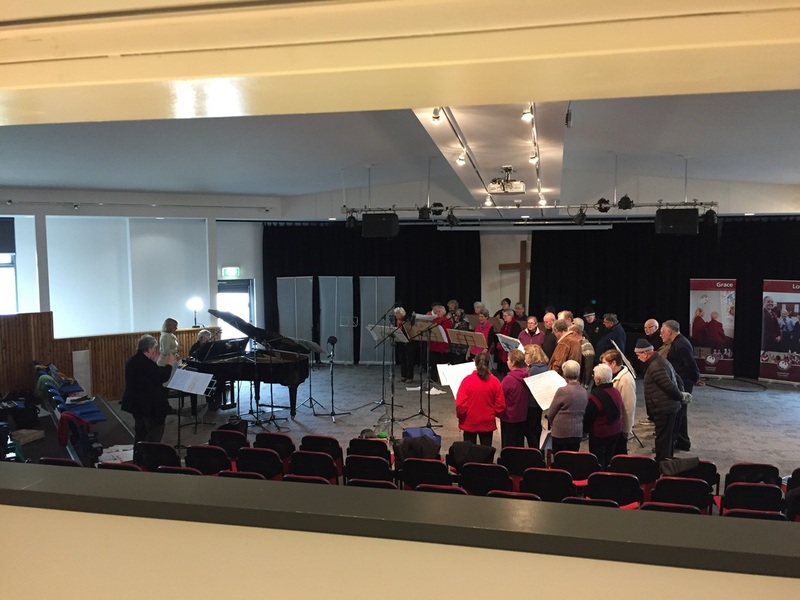 The Christian College (Bellarine) auditorium was a first class venue for this event, and the floor was set up with microphones strategically placed to pick up the optimum voice levels within each of our SATB sections. 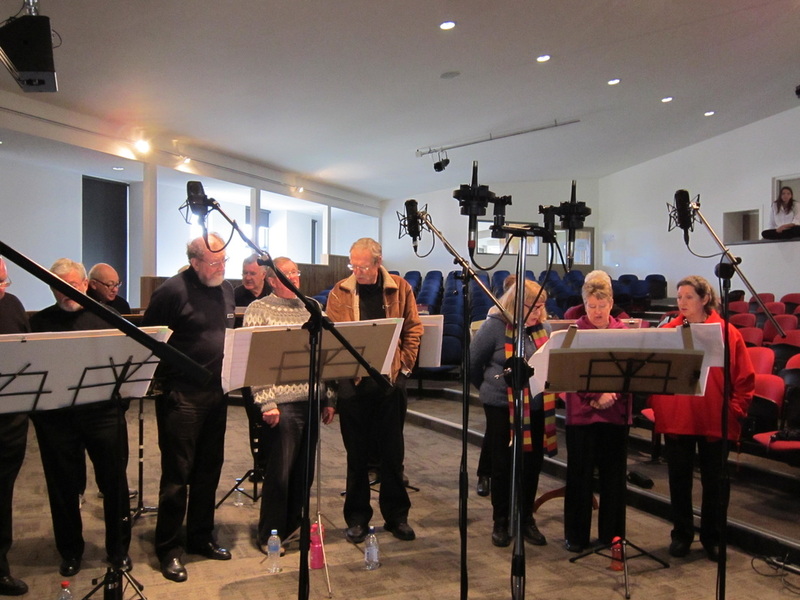 Recording went from 10.00 am until 3.30 pm with a lunch break and a couple of tea breaks to keep us energised. 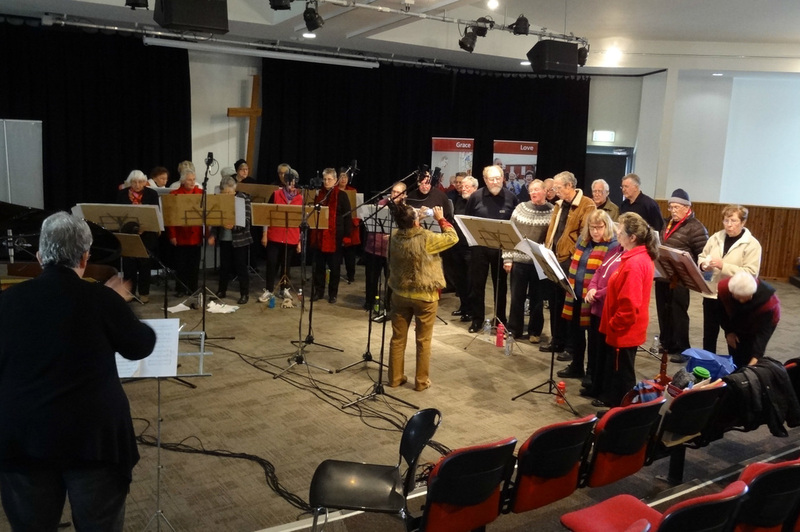 A marathon effort by our sound engineer Adam Casey and his daughter/assistant Kendra, as well as our Musical Director, Joy Porter and musicians Elaine Holman (piano) and Bernice Norman (flute) inspired the rest of us to perform at our highest possible level. We eagerly await the release of the CD (yet to be titled). The inaugural Bellarine Choral Festival was held at the Barwon Heads Community Hall on Sunday 15th October. 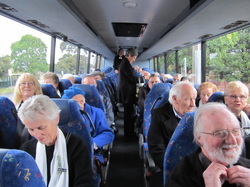 Three choirs participated - Sing Australia - Geelong, Barwon Heads Chorale and our own Coryule Chorus. 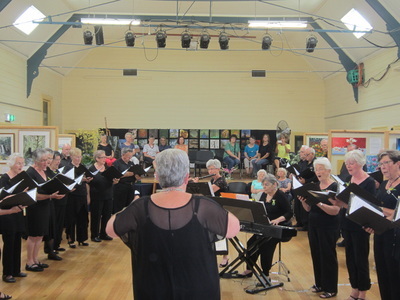 We all had a turn to present our own songs, and at the end of the concert, all three choirs took the stage together for a stirring rendition of "I Still Call Australia Home". 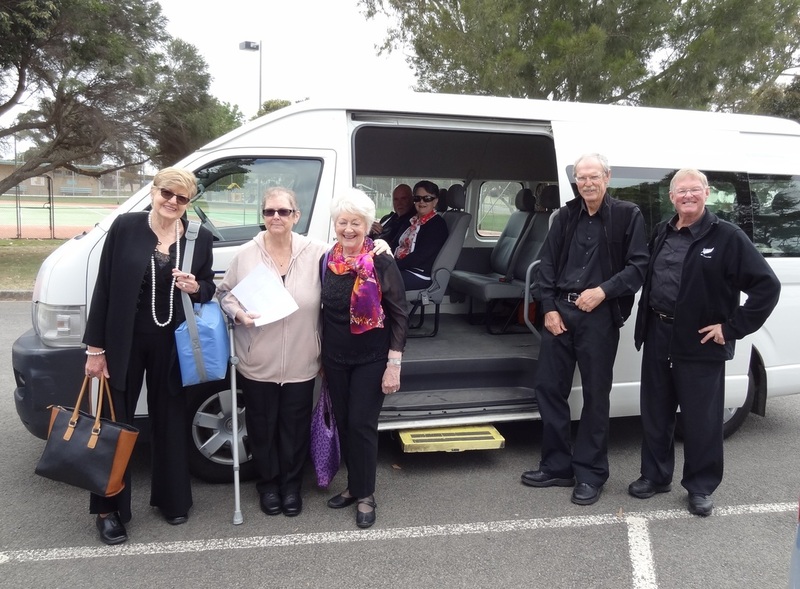 An afternoon tea was provided for after the show by the Barwon Heads group. 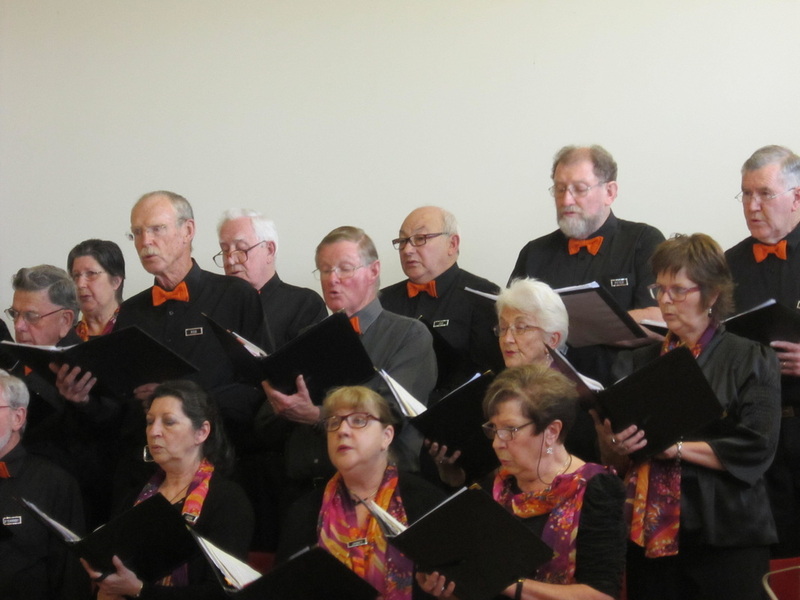 This was the first of, lets hope, an annual event getting together choirs from the Bellarine. 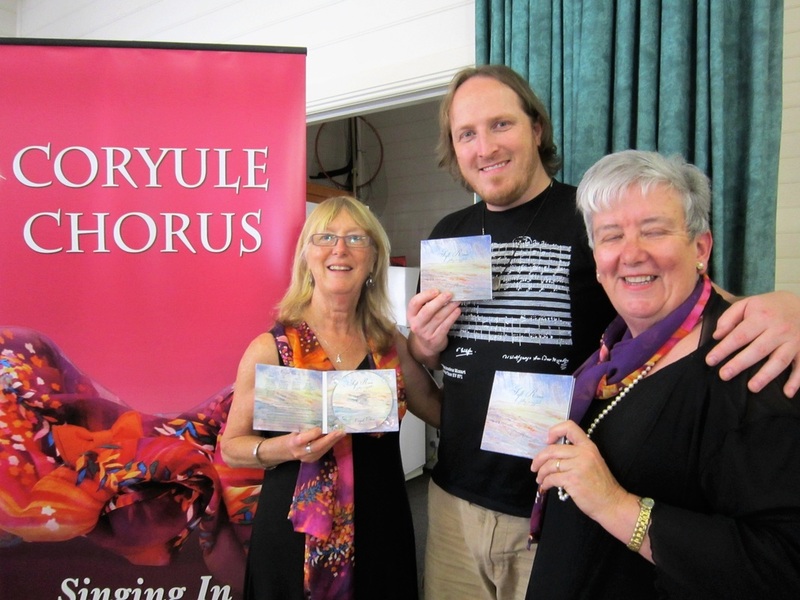 The Coryule Chorus opened its doors to the public at St James hall on Thursday 1st June, 2017, and were delighted with the response it received. 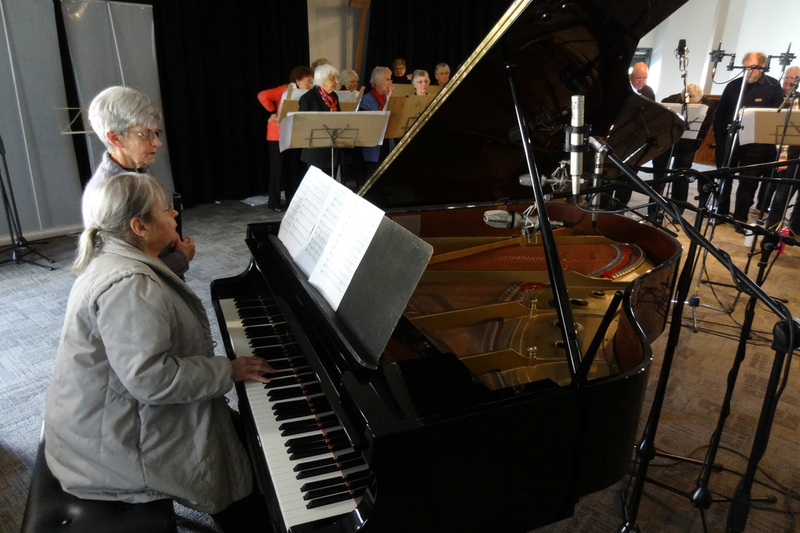 About 50 visitors attended our rehearsal, and listened, joined in and applauded the choir as we went through our paces with warm-up routines and exercises, picked some of our showpieces apart, and learnt some new work. Of course, there were no complaints at the conclusion of the activities when we all came together for some delicious afternoon tea and a chat. 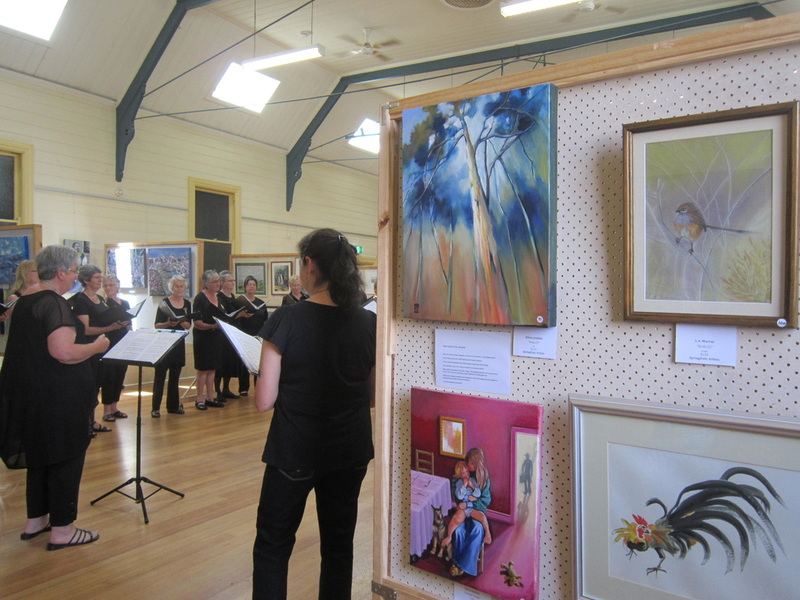 ​It was a very different but satisfying exercise as an alternative to the normal concert style presentation. Check out the photos (thanks to Tim Robinson) from the event below. 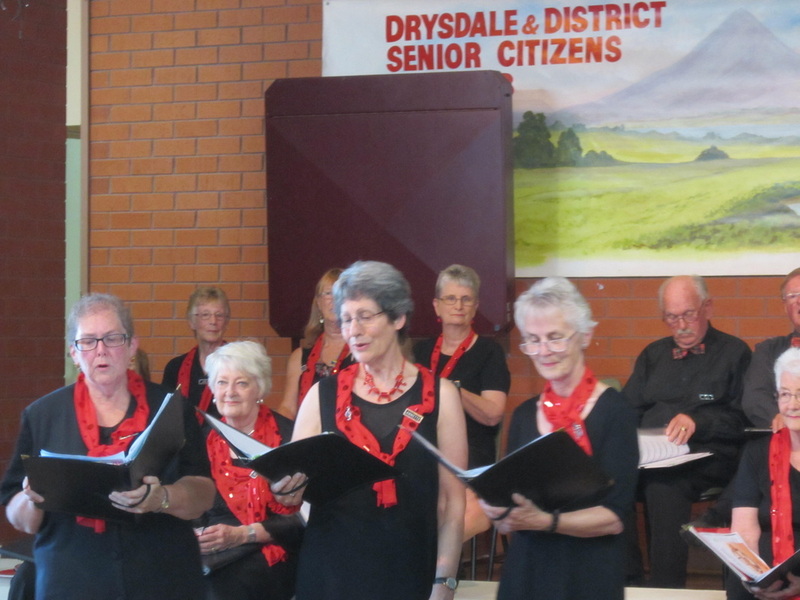 On Thursday 6th October, the Coryule Chorus were excited to be able to perform at the Potato Shed, Drysdale with the Newcomb Secondary College Senior Band. 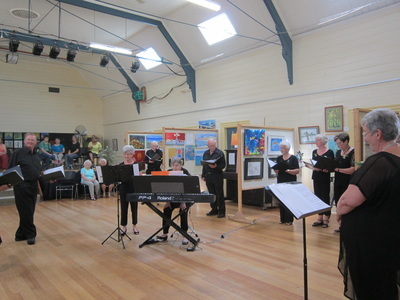 The closing of the Springdale Art Show was the setting for our Australia Day performance. A more creative arrangement of the choir's positioning amongst the exhibits was a hit, and surprised us all with the accoustically better sound we seemed to be able to generate. A few photos to commemorate the happy occasion, topped off with a coffee at the Zoo Cafe next door after the event. Slide show photographs courtesy of Ian Rollinson. 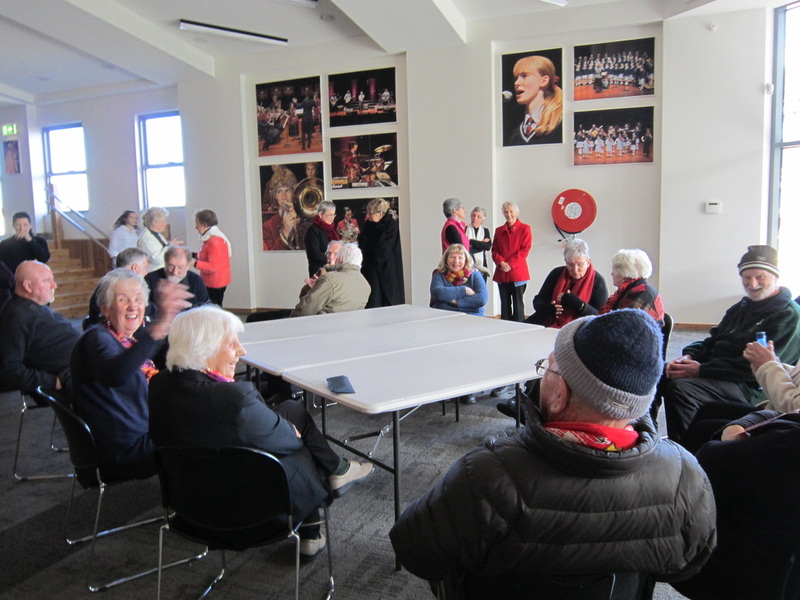 A most enjoyable and fun lunch at our choir "home", St James hall. Cinderella was a hit, followed up by our "Beer and a Barby" man, Ian. This was a first! 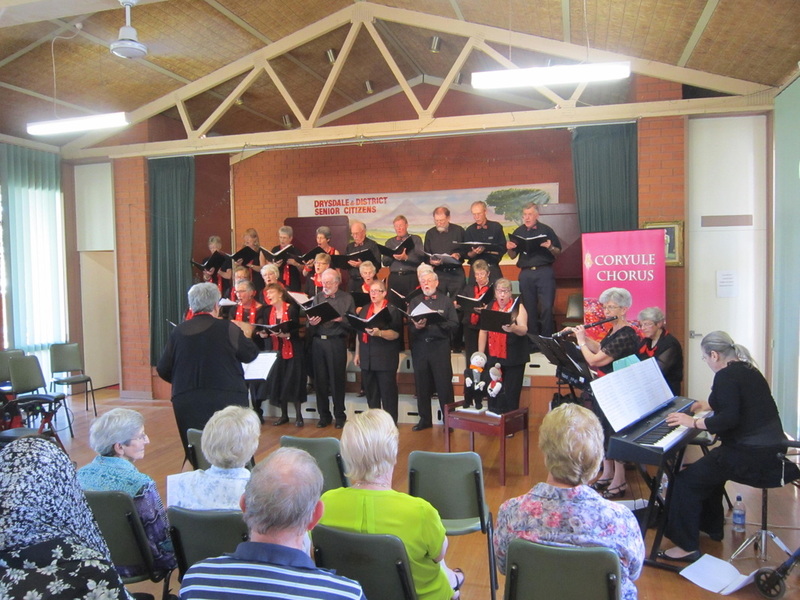 Sunday, November 22nd, 2015 was the day we did our first concert in Melbourne. 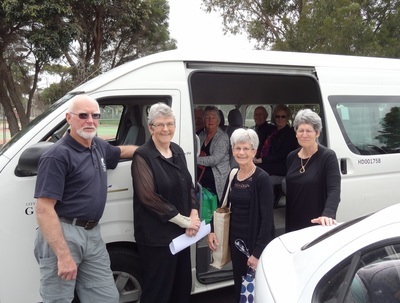 Community buses were organised to get us there, and what a lovely Church we got to perform in! See for yourself below. Drivers John and Tim herd us onto the buses. Reminded us of school days. Guess what Merilyn ... it's a camera! How we look from above. 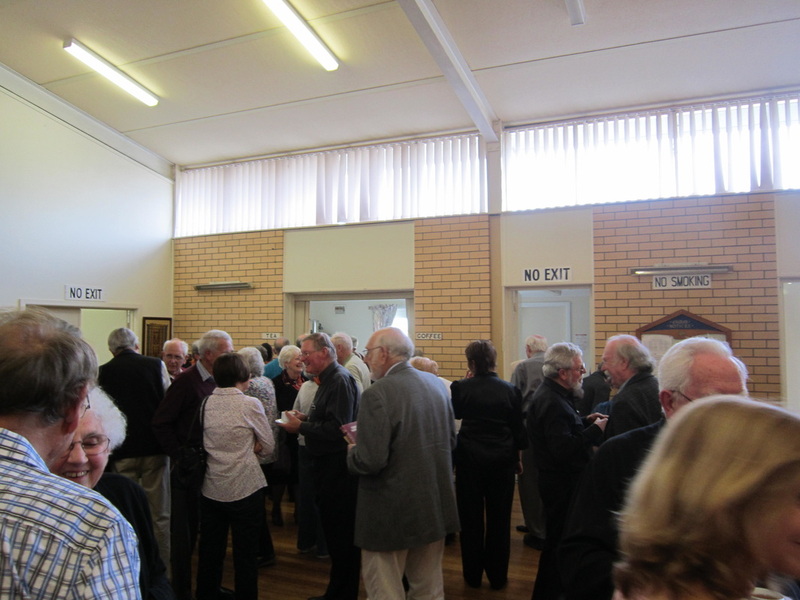 St James Hall was the venue for the launch of our long-awaited, much anticipated CD, "SOFT RAIN". 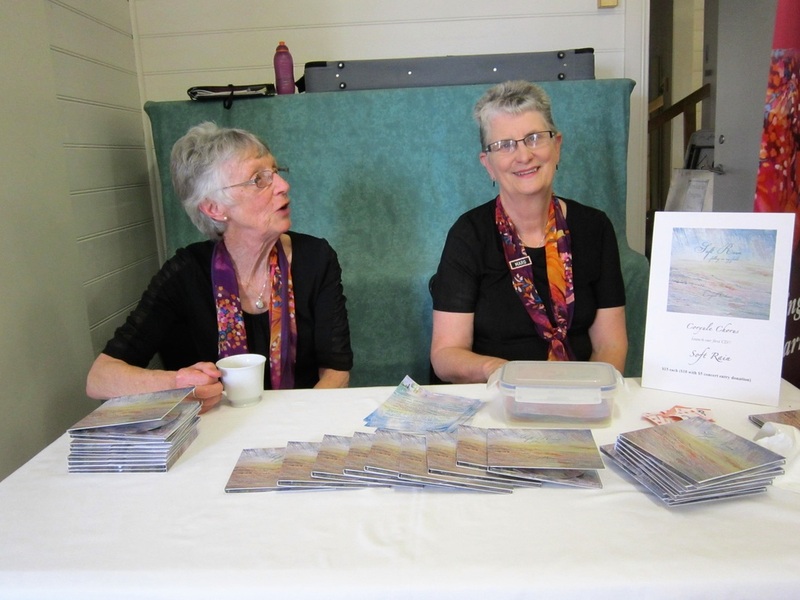 The concert featured all of the 10 songs on the CD, plus a few others, and was attended by an audience of around 75. What we look like from the back row - a picture frame! Who will buy from our lovely salesladies? ....... and almost a full house. 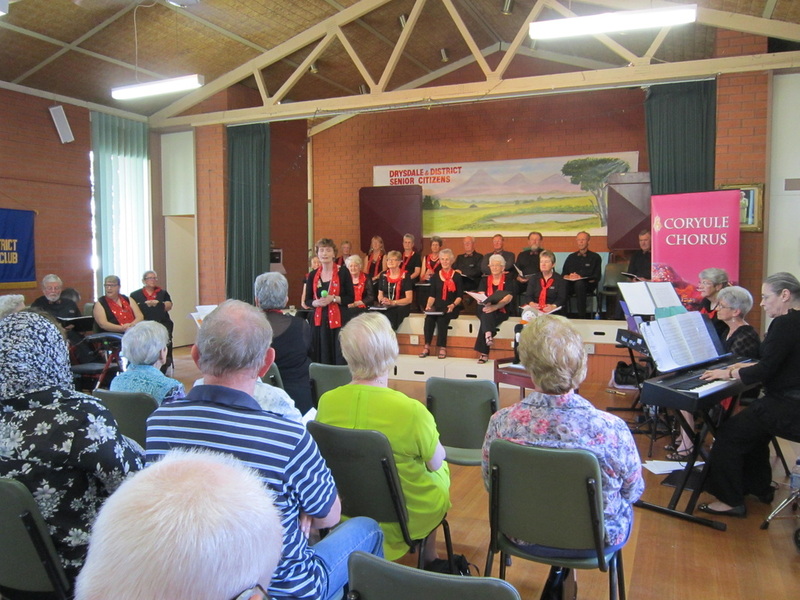 A photographic record of our performance at St Andrews UC, Portarlington. Ye shall have a song - without books! No-one ever sits in the front row ..... ?? Looks like we are "ooh" ing! And the band played ..... Moon River! Our mascots looking over us! 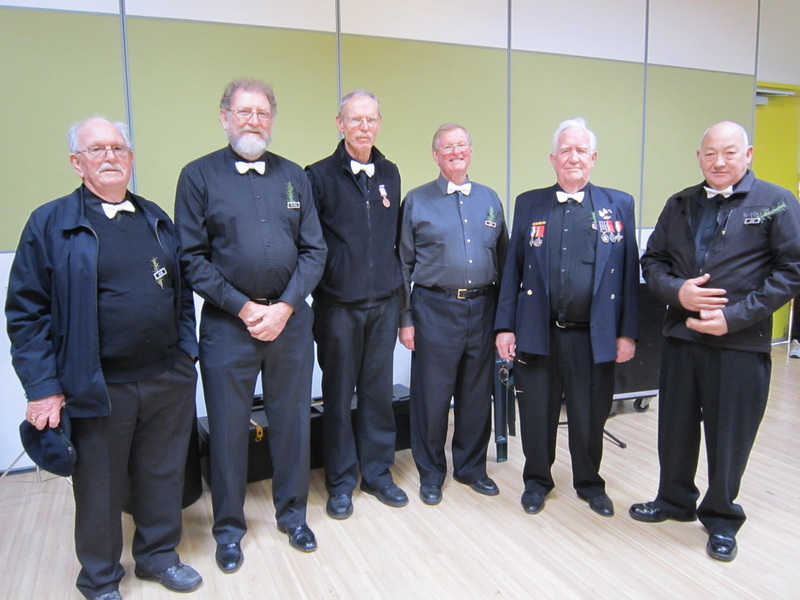 Saturday, 20th June 2015 will go down as a huge day in the history of the Coryule Chorus. With 27 singers, 3 musicians, a musical director, sound engineer, a roadie, a photographer and 2 gophers, we all assembled at the impressive Christian College Auditorium in Drysdale set for what was to be a new and interesting experience for most of us. After Sound Engineer Adam Casey's mammoth task of setting up the room with a vast array of recording equipment, we recorded 10 songs, some requiring up to 3 takes for our CD. Thanks to Yvonne and Tim, below is a snapshot of the day. In the foyer eagerly awaiting - what are we in for? The grand piano miked up - the "no go" zone. A photo of us being photographed! Our hot Lizzy wasn't going to get cold! 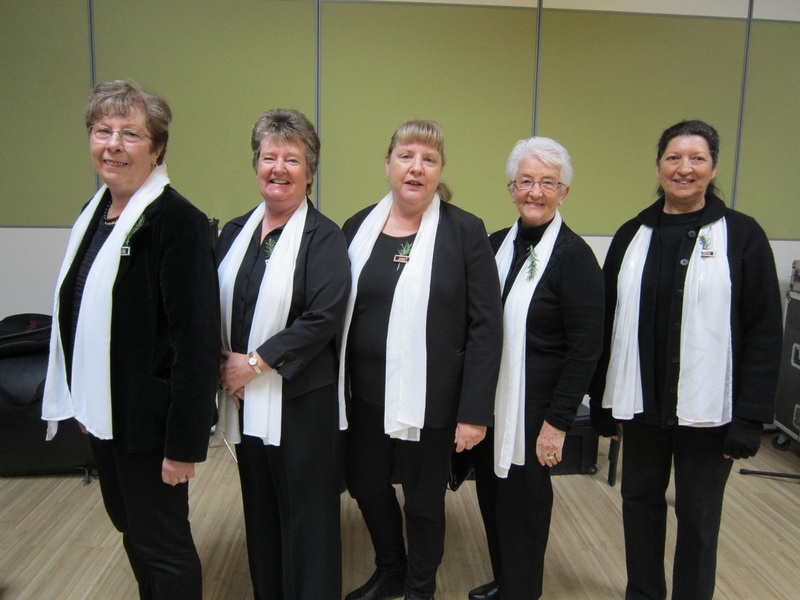 Our soaring sops - don't cry Meryn! Our altos up close and personal. Not too boofy please basses! Katrina turns the pages very quietly!! Adam - with his view from the top. A great perspective of the day - from the control room. 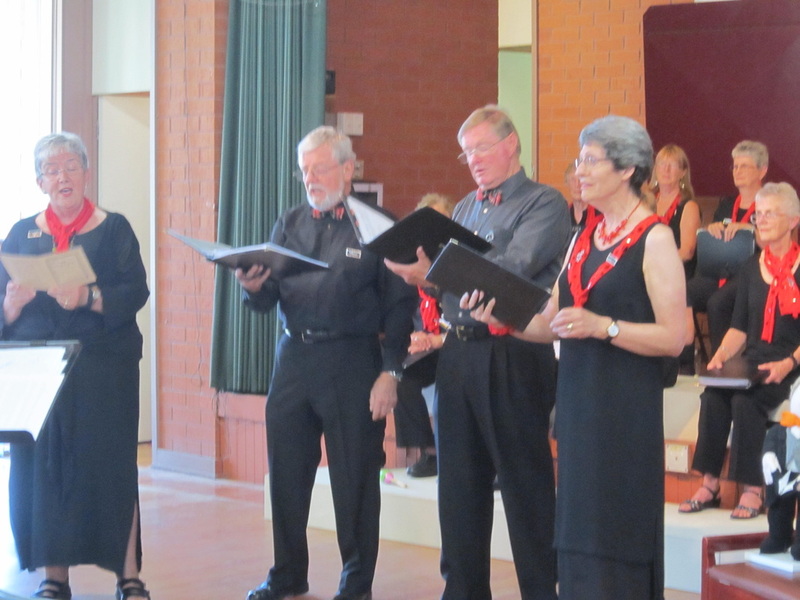 Our tenors adding their part. All the mic's in front of us - a bit scary! Bece - our pocket rocket! 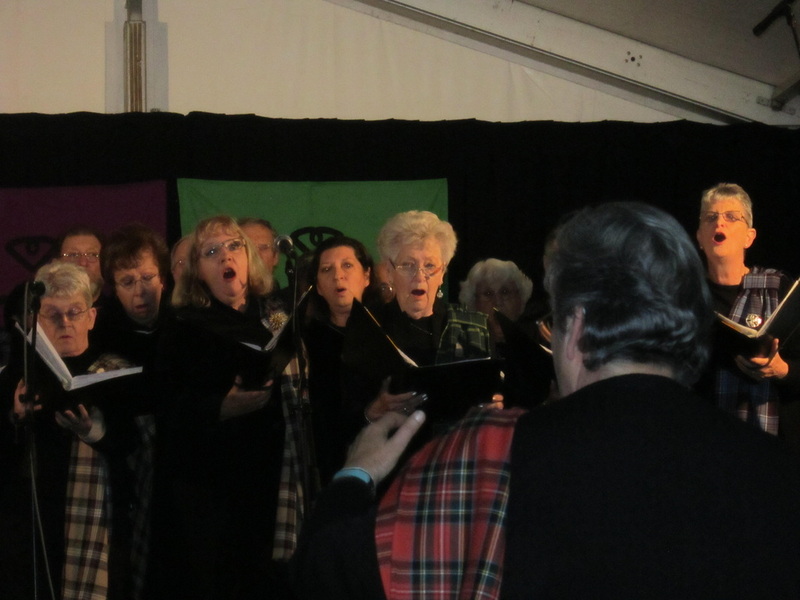 Here we all are - the Coryule Chorus!! A grand experience for us all! 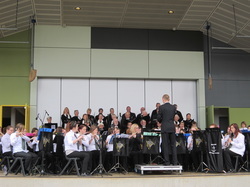 A memorable occasion on ANZAC day, 2015 at Ocean Grove, where we were invited to provide the music, along with the Newcomb Secondary College band, for the ceremony performed in front of approximately 3000 spectators. 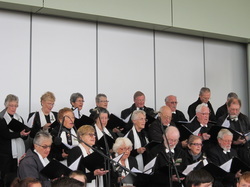 We led the singing of the three hymns, "Our God our help in ages past", "Abide with me" and "The Recessional", as well as our own performance of "Honour the Dead" performed during the official laying of the wreaths by the many dignitaries present. Below is a snapshot of the day. 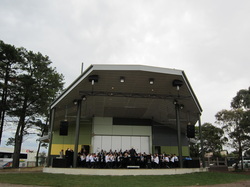 The setting - the new outdoor amphitheatre. Honour the Dead - a very moving song for the occasion. The young, and the ..... not so young! 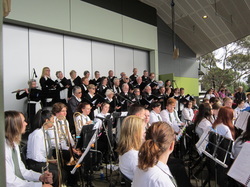 With our guest conductor and the band. The focal point for the ceremony. There's some history on that chest! Some happy, satisfied smiles - like the cat that licked the cream! Maurice - our own history book! And the ones who make it all happen!!! 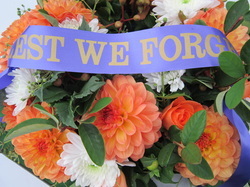 It was a solemn, but memorable occasion. What were you singing Robyn? 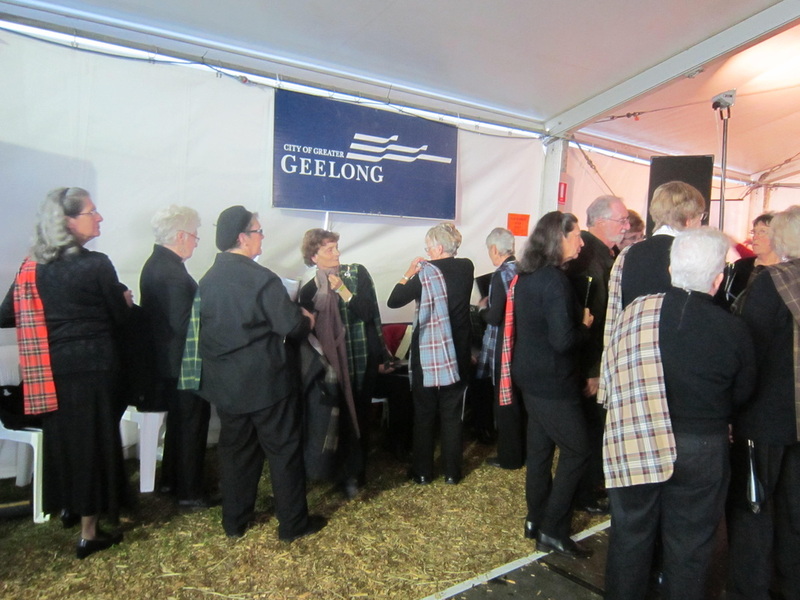 And yes - we had an audience! Here we go again........at the Senior Cits. I love a piano - times 4 hands!! 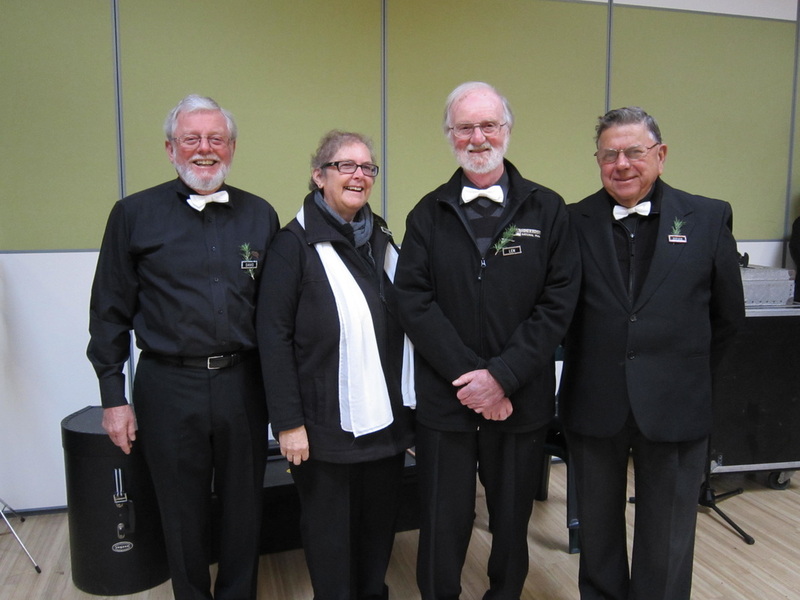 Our quartet doing their thing! Lena & Lizzie jazz it up!